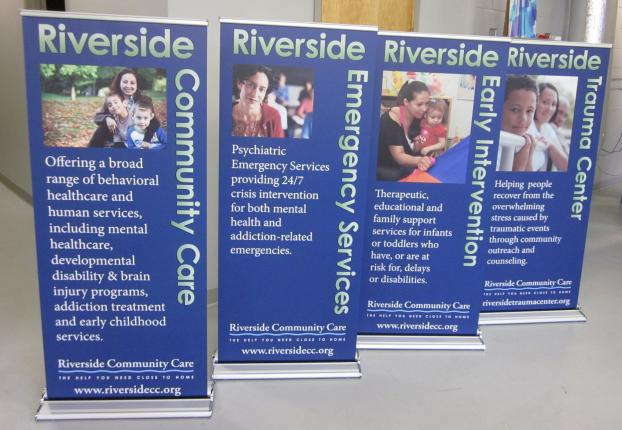 A large number of spaces can require the use of a retractable banner stand. Perhaps your front desk needs some extra color, or your lobby looks a little empty. A corporate event could improve from some informational signage too. Or maybe you’re setting up your display booth for an upcoming trade show and realize you need something substantial to center your entire setup. Whether you’re attempting to attract attention or share information, SpeedPro Imaging North Metro has you covered. Retractable banners are convenient to put together, take down and move around wherever your branding needs take you. Our team has knowledge and skills with both marketing and design that will allow us to create the custom retractable banners you have in mind. If your company or organization is located in the counties of Anoka, Hennepin or Ramsey, get ahold of our studio immediately to begin the design process. To brand your business effectively, a retractable banner should be the perfect combination of attractiveness, durability, portability and versatility. 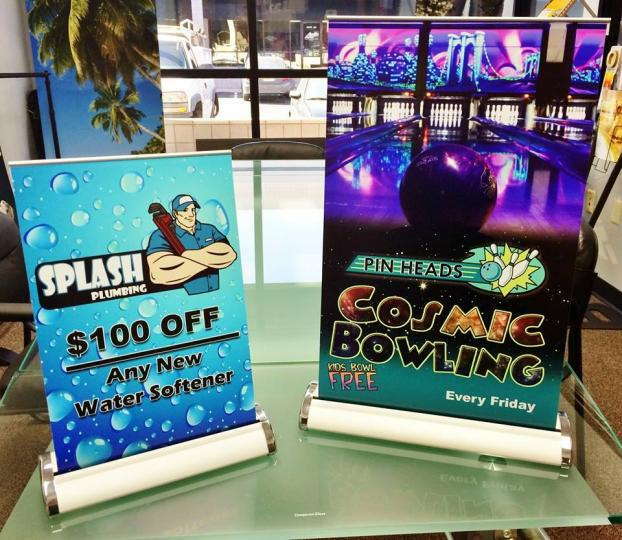 We use vinyl at SpeedPro to craft a durable and easy-to-see banner. Sturdy frames are paired with these decorated materials to make sure you’re on full display at all times. These banners can also be retracted and rolled down to a small size, fitting into a carrying bag so that you can conveniently move your setup from one location to the next. Our extensive range of fade-resistant inks can also create details and designs that catch the eye and draw attention. These retractable banners sit easily at eye-level, keeping your brand in full view. Sitting a banner next to your reception desk is a perfect way to welcome guests into your building and keep them informed about your business. 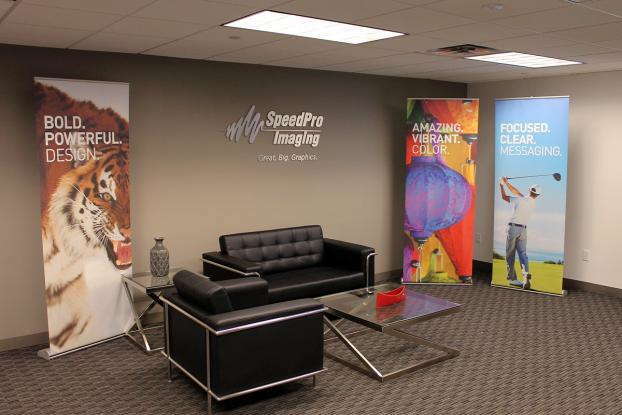 At SpeedPro Imaging North Metro, we’ll provide you with the exact banner stand you need. You might choose a stand with a metal frame and countless adjustments and features, keeping it top-notch. Or you might want a plastic stand that sits atop a long table or platform. No matter what you need, we’ll find a way to match it. One of the most significant decisions you’ll make is in regards to the type of banner you prefer. Two popular options that we have are each equipped with their own unique features. One is ideal for smaller banners or perhaps the one you’ll want to move around a lot to keep up with branding needs. Their lightweight nature paired with thin material creates the optimal weight for transport. The other is heftier and a little more durable. Whether your banner is sitting outside on a busy sidewalk or in the midst of a crowd at a convention, you’ll be covered. 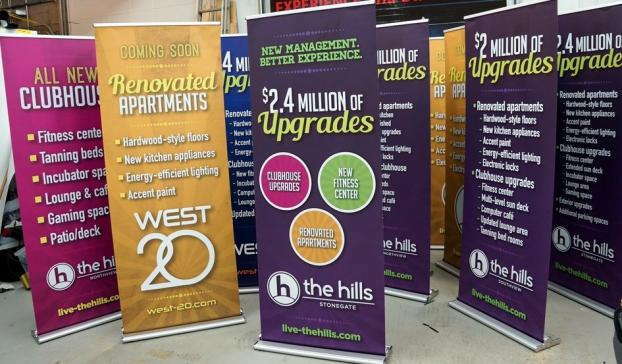 Are you ready to use a retractable banner stand to make sure your brand stays visible in a number of environments? Call our studio today, and we’ll set you up with a consultation to discuss your branding and business needs. Prompt response times and turnaround. Consistent, great work and quick turnaround! Eric always goes above and beyond to deliver a quality product in a timely fashion, even when I'm late giving him source material!!! Have used him several times for programs, large format posters, flyers, and corrugated signs, etc. Eric and his team do a very professional job, we enjoy working with them. Thank you too for being part of the business community and the MetroNorth Chamber of Commerce!